DAVID LE/Staff photo. 2/18/15. 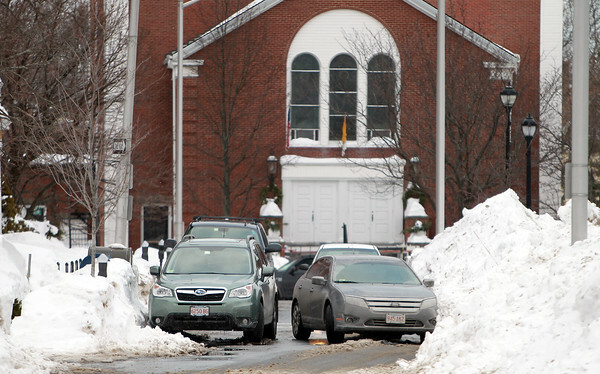 The snow piles lining the sides of many narrow streets in Salem make it difficult for cars to drive through with or without cars parked along the sides of those roads. A car squeezes by a parked car on Federal Street on Wednesday afternoon.